Penny Susan Steris, known to many as “Coach Penny,” passed away on May 5, 2018, at the age of 67 years. A California native, she lived in South Laguna for 50 years and had a positive impact on the community. 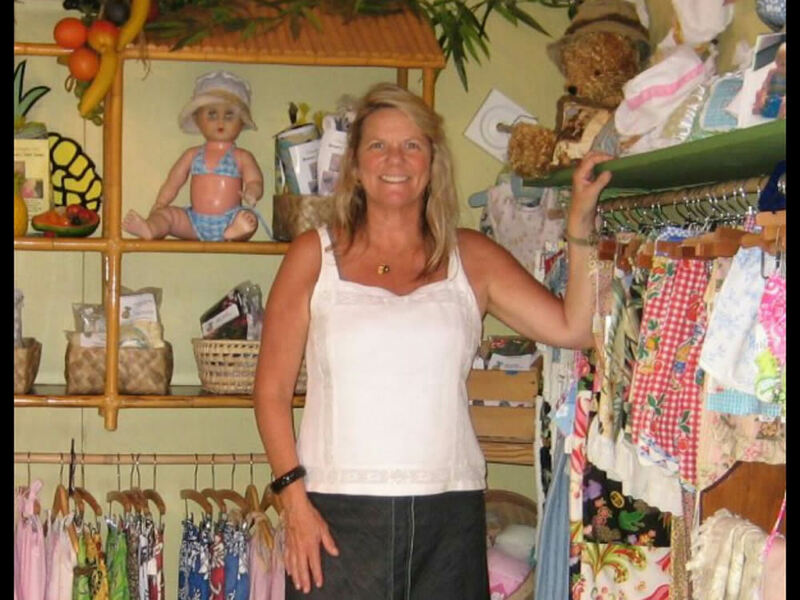 As an avid seamstress during the ‘70s and ‘80s, she made custom bikinis under the Perfect Casuals label. She also worked at El Morro Elementary School in Laguna Beach from 1988-1996 and Our Lady of Fatima in San Clemente from 1996-2001. She played a major role developing the Laguna Beach Unified School District Disaster Preparedness Program following the 1993 fires. After retiring from the school districts she returned to her creative passion and started making children’s products under the Pineapple Kid label. These products were retailed at the Laguna Beach Sawdust festival, which was a fulfilling time in her life. Penny was a creative, kind-soul and she loved working with children. Her greatest joy in life was family and she was always present. The Steris family home was open to all and she was a second mother to many generations of kids. Undoubtedly she dedicated her entire adult life to her children and was a caring and loving mother. Whether it was coaching little league for her son or Laguna Beach High School softball for her daughter, she was hands-on and very active. One of her favorite times of the year was during the Brooks Street Classic contest. She was a pillar volunteer for morning sign-ups and loved watching the kids rip, a surf mom at heart who loved the ocean and warm sunshine. The motto she valued and lived by was “Live by the sun and love by the moon.” Her physical presence will be greatly missed but Penny’s aloha spirit will always be with us. She is survived by her husband of 50 years, Daryl Steris, children Jason and Malena and grandchildren, Ava, Ollie, Colter and Cannon. A hui hou,Penny (until we meet again). A memorial followed by a paddle out to celebrate Penny’s life will be held Sunday, June 3, at 10 a.m. at Treasure Island Point in Laguna Beach. My condolences go out to the family during this difficult time. May you find a measure of comfort now, and hope for the future in the words found at John 6:40 and Acts 24:15 which speak of the resurrection promises. How great it is to know that we may see our dead loved ones again, and that death is temporary and will be brought to nothing in the future (1 Corinthians 15:26)! Penny rom heaven. A dear neighbor and mom to two of the sweetest and very best kids I know. RIP Penny. Grace the heavens with your beautiful spirit. Prayers and condolences to all of Penny’s family. May her memory be eternal.